Copper is one of the oldest metals in the world. Today, it is used in one of the most innovative markets: electronics. Copper is the third-most-consumed metal in the world and three-quarters of its consumption goes towards electronics. 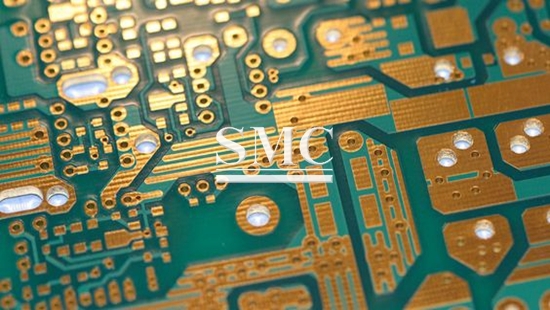 Examples of products that rely on copper are electronic connectors, circuit wirings and contacts, printed circuit boards, computer chips, semiconductors and commutators. Copper started to be used by IBM in 1997 for computer processors. The company replaced the old aluminium components with new copper ones as copper’s electricity conduction properties are up to 40% better than that of aluminium. Better conductors’ material meant that the length and width of cables could be reduced, thus decreasing the size of the device while increasing its speed of processing data by roughly 15%. Copper’s good heat conductivity also proved to be an advantage. The heat produced by electronic components while working usually causes the parts to age before the estimated time. However, this problem could also be solved with copper as the heat could be easily conducted elsewhere ensuring faster cooling. Ease of chemical processing and ductility are other properties that made of copper a suitable material for electronic components. Given the increasingly small sizes of electronic parts – such as microprocessors - working with a metal that is easy to shape and process is a further advantage. Technological advancements in the electronics sector caused an increased in demand for circuit materials mainly. These are widely used today in of various communication devices such as mobile phones, smart tablets, and internet devices. The circuit materials market size is assessed to be USD 30.58 billion worth at present and is expected to reach USD 36.85 billion by 2023! Interestingly, the Asia-Pacific area is going to be a promising circuit materials markets. Yet, a low supply of copper foil in the electronic industry is currently restraining the market from its potential growth. Demand for copper in a country is often viewed as an indicator of economic health, leading some experts to name it ‘Dr. Copper’. In fact, high demand for cooper is usually associated with high demand for electronics by household and businesses. In turn, this implies that households and/or businesses are willing and are able to purchase high-value innovative goods that go well beyond their subsistence level! That’s how high copper demand translates into a sign of healthy economy. At Shanghai Metal Corporation we have over 18 years’ experience in copper manufacturing. Our company can provide you with products such as Electrical Cable - PVC Insulated Power Cable, BV Indoor Cable and Enameled Wire. For further information and a full list of products, please click here.